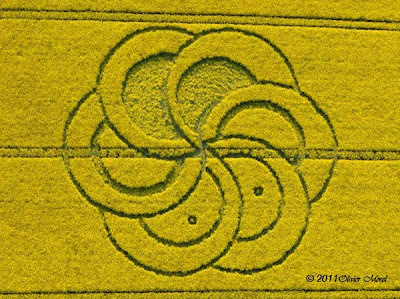 I really don't know how genuine this crop circle is, sometimes they look too perfect. 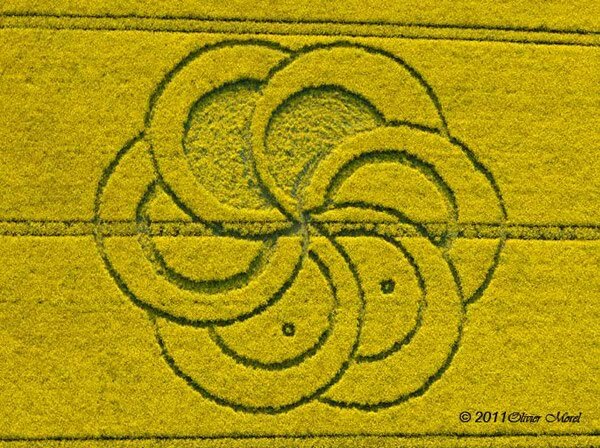 If you look closely... its not as perfect as you may think..
Why with the crop circles again? I thought this was voted on? But very impressive when taking into consideration the time, effort, and creativity those people put into making them. those two old pub mates with their wood planks are getting sophisticated. Not really -- one of them (Dave Chorley) died in 1996. This Is Fake, but if you believe this I have swamp land in Florida for sale!